If you jumped on the music-streaming bandwagon, there’s a good chance you’ve been left with a shelf full of CDs gathering dust. Lucky for you, there are a couple of apps that make adding your old albums to Spotify super easy—so you can finally throw out all of that physical media for good. Here’s how to do it. The app we prefer is called CD Scanner for Spotify, and while it is going to set you back $2.99, you might consider it worth the time you’re going to save. During our testing, the app identified most of our albums correctly, though it did occasionally complain of an overloaded server and sometimes jumped to an artist page in Spotify rather than an album. When it does work, it works well. Barcodes are detected through the iPhone’s camera in an instant, and the app pushes you straight to the appropriate album inside the Spotify app for iOS. Tap Save, and the album is added to your Spotify library. This is the kind of tech Spotify should add inside its own app, but until that happens, CD Scanner for Spotify is a decent (though not perfect) stopgap. Of course there are other ways to do the same job—via the Spotify search box, say—but this is a quick and convenient option. Thanks to Spotify’s support for local files, you can rip and import any CD you own (in case it’s not included in Spotify’s cloud library). Even if the album is featured on Spotify, it’s a good idea to keep a local library just in case you ever want to let your streaming subscription lapse. iTunes and Windows Media Player will rip your discs for you, or you can use third-party options such as Exact Audio Copy (Windows) and Max (Mac). Visit the Spotify Preferences page in the desktop client to choose the folders on your system that you’d like the music player to include in your library. Any tracks imported like this can be synced to your mobile devices as well, provided your computer is on at the time and on the same network. 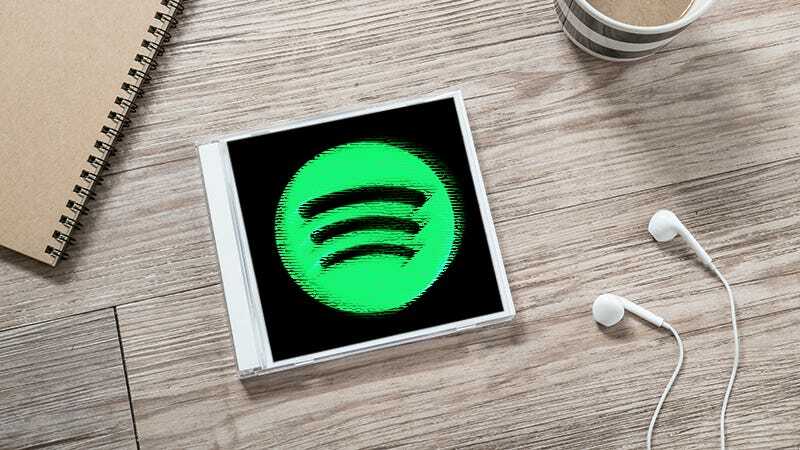 We’ve found it very useful in the past for those B-sides, bootlegs, and rarities that are unlikely to be coming to Spotify’s catalog anytime soon. Hat tip to The Next Web for spotting CD Scanner.